Clean parfait made with greek yogurt and oats. Mix almond milk, yogurt and 3 packets of stevia together. In fry pan warm up coconut oil. Toast oats in oil with cinnamon and stevia. 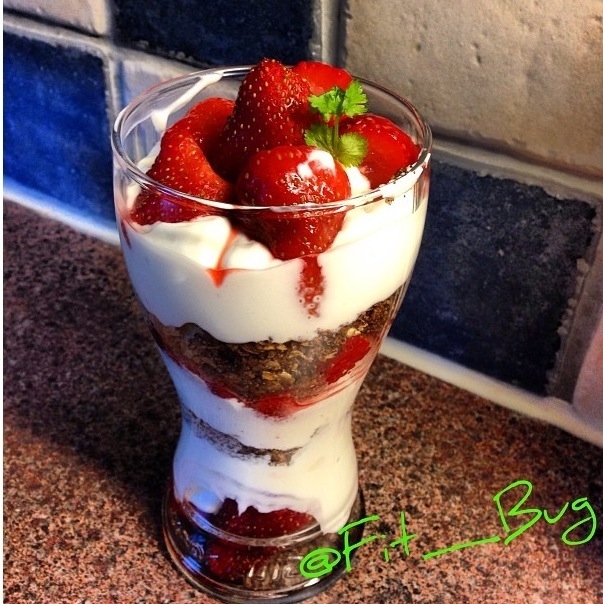 Layer strawberries, oats and yogurt in a glass.